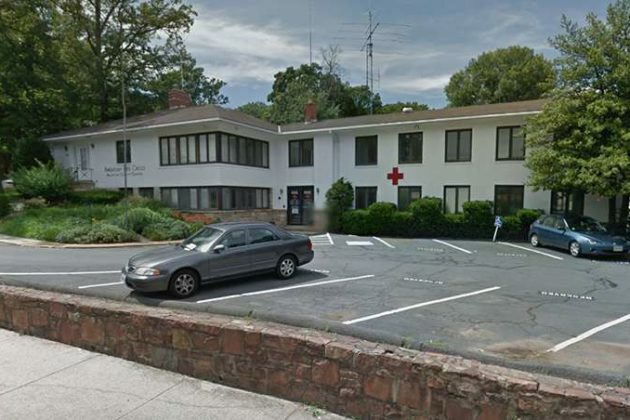 The American Red Cross building along Route 50 and two single-family homes are set to be torn down and replaced by a five-story affordable housing building and 19 townhouses. 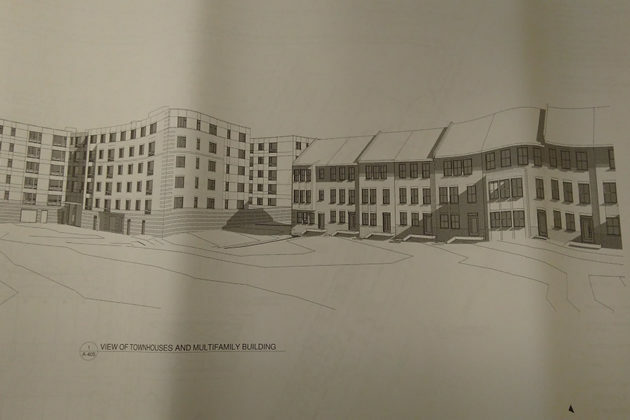 According to a preliminary site plan filed with the county late last month, the new building will have up to 124 units on the southeastern corner of the property on N. Thomas Street, with the townhouses in the northwest along N. Trenton Street. 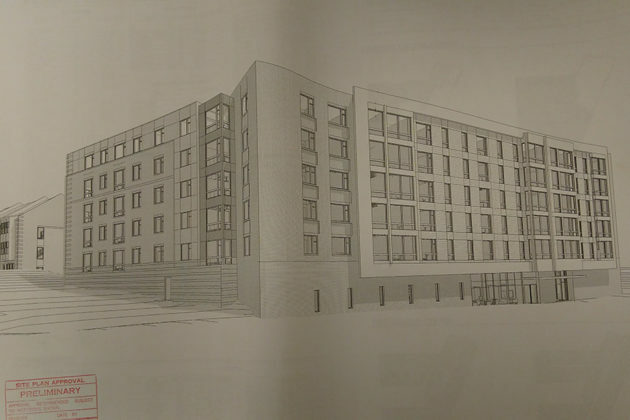 Apartments would vary in size from studios to three-bedroom units, while the townhomes would all be three stories in height and be a stone’s throw from the new apartment building. 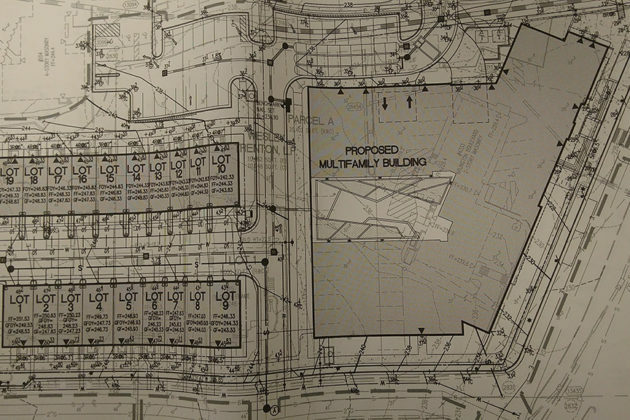 Cars would access the site from two locations on N. Trenton Street and another on N. Thomas Street. There would be no access from the Arlington Blvd service road. 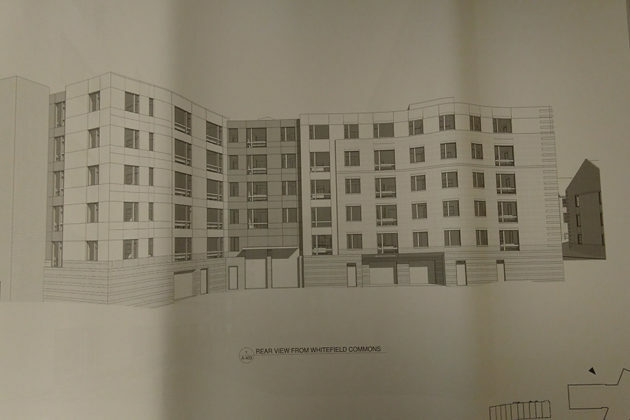 The nearby 63-unit Whitefield Commons apartment complex would be kept and could have six more units added by the developer, the Wesley Housing Corporation, depending on the number of apartments in the new building. 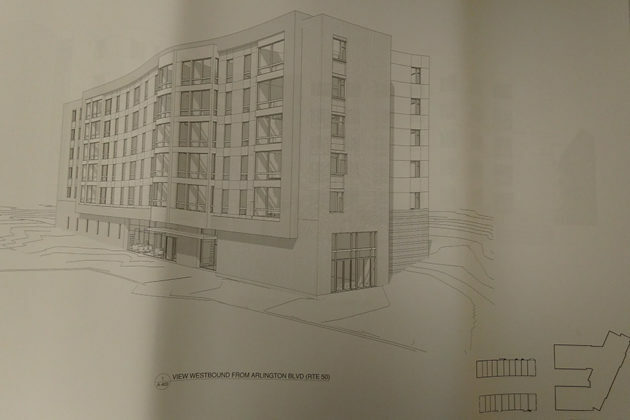 In a letter to county staff dated March 20, an attorney representing Wesley said the project will bring numerous community benefits, including more affordable housing, improvements to sidewalks, curbs, gutters and streetscape, and public art. A memo from county staff indicated that in prior meetings, staff members have suggested façade embellishments or using the fence of a to-be-built playground for art. Plans for public art are still in the initial planning stages. Wesley commissioned Bonstra Haresign Architects to design the property. A transportation management plan found traffic impact to be minimal from the site, as it is well served by ART and Metrobus.